The largest single donations apart from the premium sponsors MapBox and Mapzen are: 500 Euros (Matthias Eilers, Küstenschmiede), 500 USD (Robert Cheetham), 250 Euros (Klaus Tockloth, Freizeitkarte), 256 USD (Ian Dees), 250 USD (Nelson Minar ), Pierre Boizot (200 CHF) and 200 Euros from an unknown donor. Many Thanks to you all. Every little helped. Martin Simon asks how to map ” railway expansion devices” (a piece of equipment on railway tracks which compensates for changes in length as a result of temperature variations). Jóhannes Birgir Jensson blogs a plea for remote mapping (via @OpenCageData). Students report on a mapping week in Germany during their stay in Saarburg for a Comenius school project. While conducting a research, a user in Belgium has changed numerous maxspeed values for roads using multiple accounts without prior communication with the community. The changes resulted in maxspeed values which were far from reality. The Data Working Group has already taken action. In the comments, Jost Schouppe alleged that a student from Ghent did it as part of his master’s thesis. User sbagroy986 informs the community on his progress so far on Moderation Queue project as a part of this year’s Google Summer of Code. He developed a “Report” button to for osm.org, used for User Diaries (spam, insults, …) and changesets. It was also created a dashboard for the administrators and moderators, a management system for the Data Working Group. In Norway, a manual road import is planned. In Slovakia is planned an address import with KasporSKAdress. The State of the Map 2016 will be held in Brussels, Belgium. Sam Matthews talks about his views on OpenStreetMap using his experience in the US SOTM 2015. PhD student Martin Dittus examines the activity of HOT-beginners. Pierre Béland and Dale Kunce published their campaign speeches for the HOT-board elections. Incredible, how fast OpenStreetMap grows. 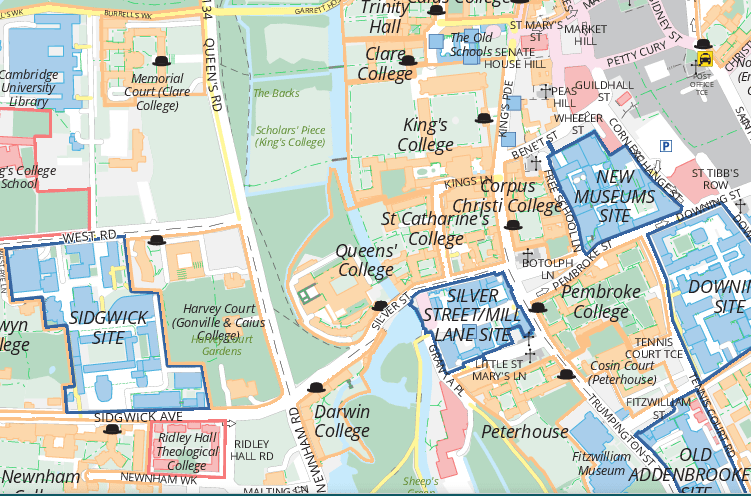 Cambridge University is using OSM data for their detailed interactive campus map. Some of the tags used to achieve their aims were subject to discussion and criticism by other mappers. search.ch uses now partly OSM data. The German Railways Company (Deutsche Bahn) uses an OpenStreetMap map to display traffic information about the railway project VDE8 (German Unity Transport Project No. 8). The Environment Agency announces the release of their LIDAR data, covering 72% of the land in England, under the Open Government License. Open Data is now firmly established in the city of Zurich, Switzerland. Their stated aim is to provide all relevant information (urban statistics, municipal data) using the best means to do it. With help from Geolicious OSM routing has been made available as a new OpenRouteService plugin within Quantum GIS. Simon Poole announced version 0.9.6 of Vespucci, which is now available on Google Play. Before upgrading unposted changes must be uploaded as Changeset for OSM API, because the format of unposted changes, has been changed. GeoServer 2.7.1 was released on May 21. Simon blogs about the dangers of open technology when it is driven only by a single company and he mentions as an example MapBox and vector rendering. GeoExt reports the results of a three-days codesprint. Daniel Koć asks on josm-dev why editors do their own thing in the tagging templates. The responses implied that as other editors are younger than JOSM the question should be why don’t they use the JOSM infrastructure. Christoph writes about the necessary work when dealing with all kinds of elevation data. OpenLayers Release 3.6.0 is from June 07. SQLite Release 3.8.10.2 dates from May 20. … the Leaflet Routing Machine for easy displaying OSM-based map and routing capabilities via OSRM, GraphHopper or MapBox API? Techcrunch.com and bizjournals.com reported that the US company MapBox could collect about 52 million US dollars from investors. As part of a project, over 500 British diary entries from the first half of the 20th century were geographically assigned and visualized on a map. Although the map resembles maps from this period, it uses data from OSM, Ordnance Survey and Natural Earth. The Senate of the Deutsche Forschungsgemeinschaft (German Research Foundation) has set up a Priority Programme: “Volunteered Geographic Information: Interpretation, Visualization and Social Computing.” A call for proposals runs until October 29. Max Roser illustrates how common projections affect the outline of a head. “ESA trumpeted the launch of a new earth observation satellite.” Christop Hormann reflects on the usefulness of the data and the public relations of the ESA.